Massage therapy is one of the most popular forms of complementary medicine in Australia, with studies showing 20% of Australians reporting consultations with a massage therapist in the last 12 months! 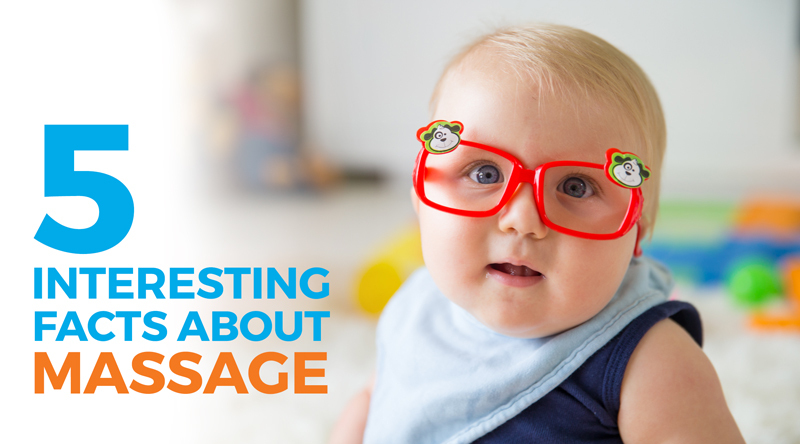 Here are some interesting facts you may not know about Massage Therapy. Massage uses touch to stimulate the release of endorphins, the body’s natural pain killers. There are approximately 5 million touch receptors in our skin, with 3,000 in a finger tip alone. It has been said that massage is one of the oldest and simplest forms of healthcare. It is depicted in Egyptian tomb paintings as well as mentioned in ancient Chinese, Japanese, Indian and ancient Greek texts. Many musculoskeletal conditions treated by massage therapy are best treated with medium to light pressure, which busts the myth of no pain no gain! Regular massage therapy sessions have been found to have health benefits such as lower blood pressure, improved body posture and circulation to name a few. There are around 75 forms of massage used today. In addition to the growing demand from the public, there are significant levels of support amongst Australian GPs for the further incorporation of massage therapy into primary health care, including support to reduce anxiety in patients as proven by medical studies. There is therefore an increasing need for highly qualified Massage Therapists in this expanding and prosperous industry.